Principal Cast : Laurence Fishburne, Kate Winslet, Matt Damon, Marion Cotillard, Jude Law, Jennifer Ehle, Gwyneth Paltrow, Bryan Cranston, Sanaa Lathan, Elliot Gould, Enrico Colantoni, Anna-Jacoby Herron, Chin Han. Synopsis: A major new virus breaks out across the world, leading to mass deaths, mass panic, and governments scrambling to find a cure. What we think : A terrifying “what if” scenario plays out more like a documentary than a straightforward narrative, and I kept wondering when “something was going to happen” eventually. It didn’t: the characters are unremarkable, the ensemble cast barely get any chance to really delve into their characters, and the film does tend to plod a little in the latter stages. Once the panic and fear goes out of the first half, and the resolution seems a foregone conclusion, the film becomes as unremarkable as the characters. Considering the lack of ability of our current scientific knowledge to cure all the viruses coming our way, this films’ concept rings true to a new, scary level – but while the concept might be scary, the execution of this story feels a little flat. When you use the term “disaster film” around the average Joe, most of them will think of films like Armageddon and Harold & Kumar Go To White Castle as prime examples of the genre. World-destroying, cataclysmic apocalypse, all-encompassing human misery and suffering are the traditional orders of the day when it comes to disaster cinema. That Average Joe isn’t likely to consider a medical pandemic part of the Disaster pantheon, a fact which is a little concerning, considering that the human race is more likely to be wiped out by some kind of virulent super-bug than a Michael Bay asteroid – at least within our lifetime, that is. Films such as Outbreak, for example, serve to remind us all that there are form of life on this planet that are microscopic enough to be transmitted through the air that could wipe most of us out within a few months, and that’s a scary proposition. It’s also something we don’t much like to think about, except when it makes good cinema. Contagion, which delivers a realistic portrayal of just such a disaster, serves to remind us of just how fragile we are as a species, and just how deadly some of these bugs can actually be. In less than thirty hours, you’ll be having your scalp pulled over your face. Weird? Beth Emhoff (Gwyneth Paltrow) returns home from a business trip in Asia, where she contracts a flu-like virus – as the hours and days progress, she becomes more and more sick, until she is admitted to hospital where she eventually dies. 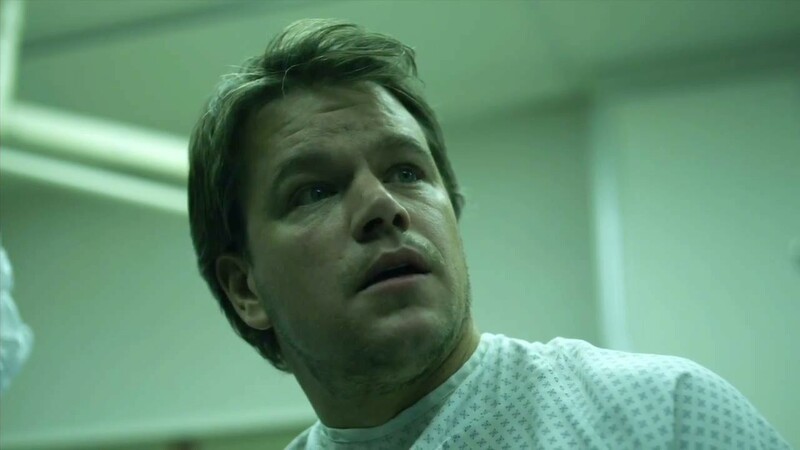 Beth’s husband, Mitch (Matt Damon) appears unaffected, although their young son Clark also dies. Mitch’s daughter, Jory (Anna-Jacoby Herron) is also unaffected, although whether she’s immune to the virus or just lucky enough not to have been in contact with those who are sick is unknown. The Center for Disease Control, and the World Health Organization, soon realize that an increasing number of people have come into contact with this virus, and have either died or survived – the time-frame from incubation to fatality is only a few days. As the pandemic begins to grow, and more and more people become infected and die, the race to create a cure is on. CDC agent Dr Cheever (Laurence Fishburne) tries to balance his own fear with the desire to find a cure and save everyone, although he’s hamstrung by interfering governmental departments. 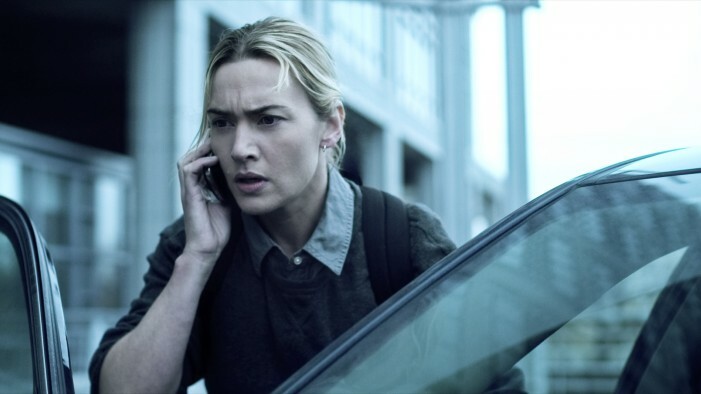 He sends one of his people, Dr Mears (Kate Winslet) into the field to gather samples and information about the spread of the virus, although Mears soon contracts the sickness herself. Blogging journalist and conspiracy theorist Alan Krunweide (Jude Law) informs the public via his website that he has a homeopathic cure for the new virus, and starts mass riots among the sick who seek to obtain it. As social order breaks down, and the military enforce curfews and martial law, governments around the world try desperately to find a cure, make it in bulk, and deliver it to a populace in desperate need of salvation. I’m on the phone too? Man, what is this film, a commercial for phones? The problem with a film featuring a large ensemble cast is that, invariably, the lack of character development inhibits a genuine connection between audience and movie. The characters in an ensemble film, where multiple story-lines play out alongside each other, are usually fairly generic, almost cliched, and Contagion is no exception. Sure, this ensemble cast is a filmmakers dream, and the story is torn right out of Science Weekly, but not even Steven Soderbergh can muster up enough raw power in this film to make me truly, truly afraid. 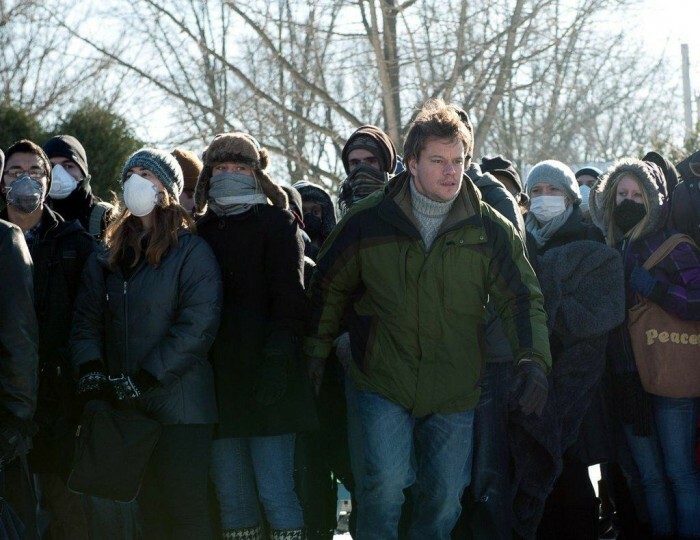 By the end of Contagion, a film I was fully expecting to be blown away by, I was left with a feeling of “meh”. And I don’t say that lightly. I think this feeling has a lot to do with the fact that in the film, none of the characters are really meaningful. Matt Damon’s character, a father trying to deal with loss, grief and protecting his daughter is about as close as we get to any real emotional bond in this film, while the rest of the cast aren’t given enough to do except look concerned and worried and sick, none of which really manages to give any wallop to what should have been a corker of a story. I’m almost as cool here as I was in We Bought A Zoo…. The story itself is pretty damn scary, because it’s not too much of a stretch to imagine this kind of thing happening – the deadliest virus known to man breaks out and starts killing millions of people around the world, and there’s no cure. Yep, my nightmare just started. It’s possible, and that’s the real thrill of this movie. The potential for things to play out just like they do here. Where the film falls over is in the ambitious decision to weave this story together from almost every conceivable angle: the bureaucrats, the family caught up in the middle of it all, the scientists trying to solve the riddle and save the world, the government agencies trying to hush it all up, and a young girl hating the fact that she’s stuck in her home with only her father for company for months on end. Instead of focusing this story into a few simpler character arcs, Scott Z Burns’ screenplay leaps across the globe and across multiple characters, all of whom have only the barest development. Contagion tries for epic, and doesn’t hit the mark. There’s too many characters; the scope is to broad for genuine emotional connection with the audience, to engender any sympathy from these people. Kate Winslet’s Oscar parties were something to behold…. The cast are generally excellent in their admittedly limited roles. Matt Damon does his best confused and dazed Generic Parent, while people who hate Gwyneth Paltrow will be relieved to learn she kicks the bucket in the first ten minutes. Kate Winslet does her best to convey the heartbreak of a doctor sent to the virulent hotspots to track the source, only to contract the virus herself. Jude Law’s conspiracy theory nutjob seems half-hearted in this film, almost as if the studio said the film needed “adequate balance” to counteract all the government secrecy and whatnot going on, but his role isn’t well defined, nor is it potent enough to be memorable. The only real character with any semblance of humanity within this narrative is Laurence Fishburne’s Dr Cheever, who works for the government in body, but not entirely in soul, as we soon learn. He’s the films closest approximation of a Good Guy, if that can be said of any of the trace-and-track characters in the entire movie. Poor Marion Cotillard looks like she’s in a completely different film, and in one of the most bizarre efforts in the movie, her story doesn’t even get a proper ending – she runs out of frame and is never seen again at one point, and of all the story arcs in the movie, this is the one I wanted closure on. The lineups for the Nicks games always drove Barry crazy. If you remove the underdeveloped characters from the film, you’d have yourself a reasonably competent thriller – although describing a Steven Soderbergh film as “reasonably competent” seems a little fraught with irony, considering the mans pedigree. 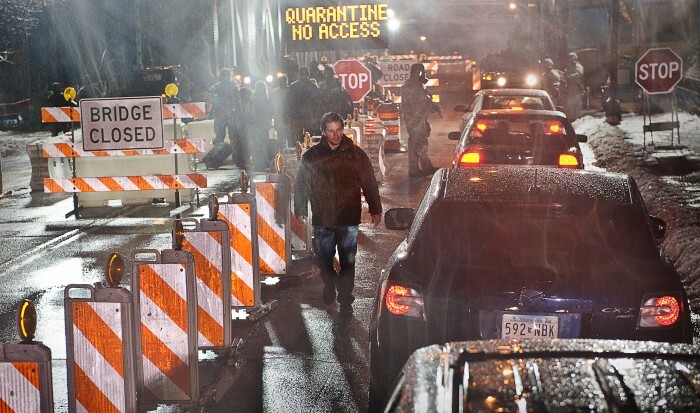 Contagion is a film free of the shackles of being a genuine blockbuster, although this freedom to commit to a story more compelling than any Transformers movie seems to have missed the point. The point is not so much the how and the why, but the who, and that’s where I think Soderbergh miscalculated in this: he’s generated enough anxiety amongst us with how a virus like this could spread (something equally as compelling in the final credits of Rise of The Planet of The Apes, for example) but the human beings we’re forced to watch traipse through the collapse of social order just aren’t as interesting as we’re expected to believe they are. Don’t get me wrong: Contagion is a scary film for the concept it presents, and I think it reasonable to assume we’re closer to being wiped out by a superbug than Roland Emmerich’s wildest dreams, but Soderbergh’s desire to straddle so many ideas at once, without developing a single character we actually invest in, leaves the film feeling undercooked and too restrained for its own good. Outbreak did it better. © 2012 – 2018, Rodney Twelftree. All rights reserved. Most boring disaster film I have seen in awhile. 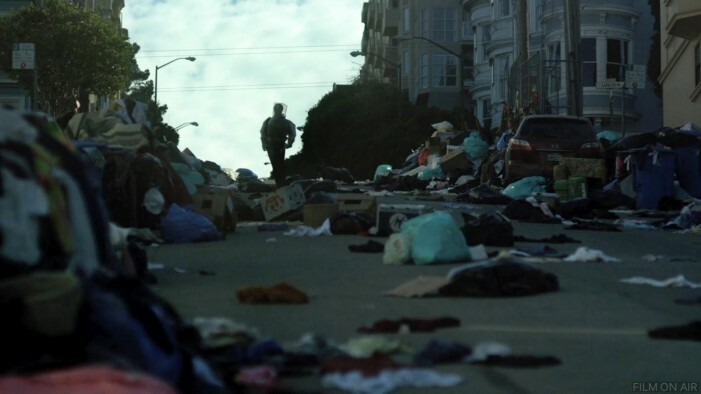 Seemed to really play down the panic and looting that would take place if a pandemic was going on. When was the last time Soderbergh made a really good film? Oceans 11? An excellent cast wasted IMO. Definitely not as exciting or electric as I was expecting it to be. However, it definitely feels like what would actually happen if a virus broke out, with society just breaking down slowly, but surely. Good review Rod. @DantheMan610 Glad you liked the review, Dan, even if you didn't enjoy the film. I thought this film had potential, but it just didn't gel like I'd hoped! i think Soderbergh was the wrong director for this. An "intimist" look at a global disaster could've been handled better and adroitly… Unfortunately, Soderbergh doesn't have a droit to his name here. @AlKHall Dang that missing droit. I hate it when I lose mine. I disagree that Soderberg was the wrong director, because I think he was let down by too many side-stories that couldn't possibly all fit comfortably into a 90 minute film. Had this film stayed focused on two or three storylines, instead of the half-dozen or more that it went with, the film might have had room to breathe life into the characters. Thanks for stopping by, Al. Still haven't got around to seeing this yet but I recently watched Haywire which really disappointed me. Great fight scenes but built on a paper thin plot and some wooden acting. @Top 10 Films Dan Hi Dan. I haven't seen Haywire yet (it's on the list), but I've heard good things about it. Approach Contagion with a sense of low expectations and you'll be a lot happier if you go in expecting a great film. Sorry I've been absent Rodney but I'm really not that interested in the 'Dragon Tattoo' series. I have seen this one however, and I thought Soderbergh did a good job making it quite watchable despite its super bleak premise. I did get a kick at seeing how ugly Gwyneth is in this film, ahah. I agree though that Outbreak did a better job overall tackling a similar subject matter. I did love it (and thanks for the link)! The tension in this movie was incredible. Its hyper-realistic nature made it into something like a docu-horror film. The character development is perfect. It's the anti-Outbreak; it's not about a couple of A-List stars saving the world, it's about tracking the disease's global progression through how it touches various facets of humanity. And the score is phenomenal, taking the incredibly well-shot visuals to the next level. I'll agree that it's not a movie for everyone, but I almost skipped it because of the mixed reactions. It's definitely a movie that will resonate with the right people.